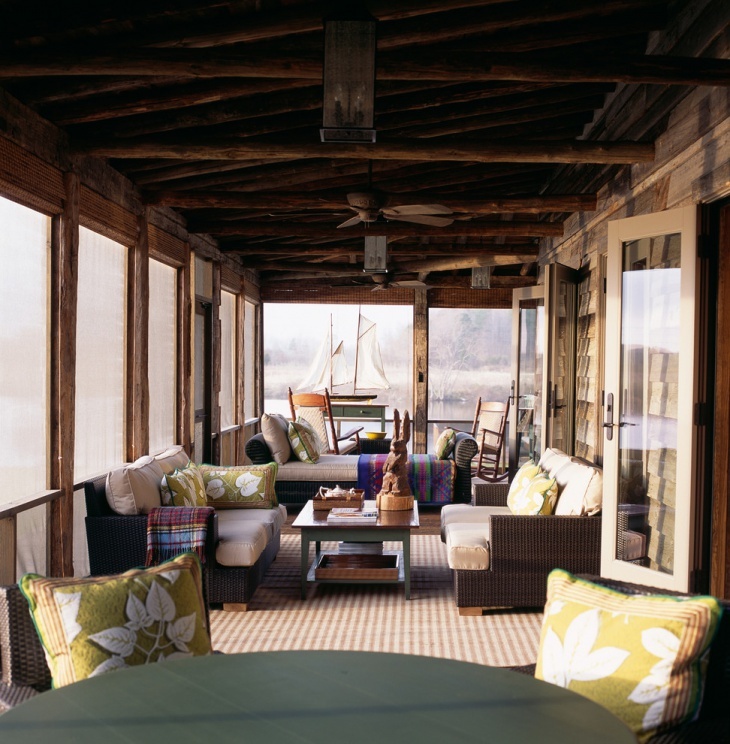 This is a classic lakeside cottage porch with a wooden ceiling and fan attached to it. The patio consists of several sofas and coffee table for spending some time cracking conversations with the family. 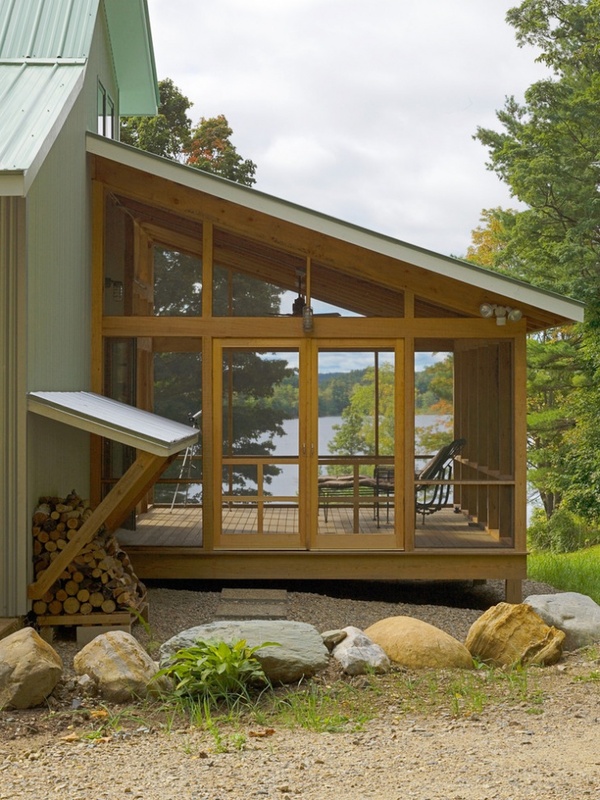 The cottage is built in a traditional style with a modern twist. This modern back end porch design with stairs and has a pendant light. 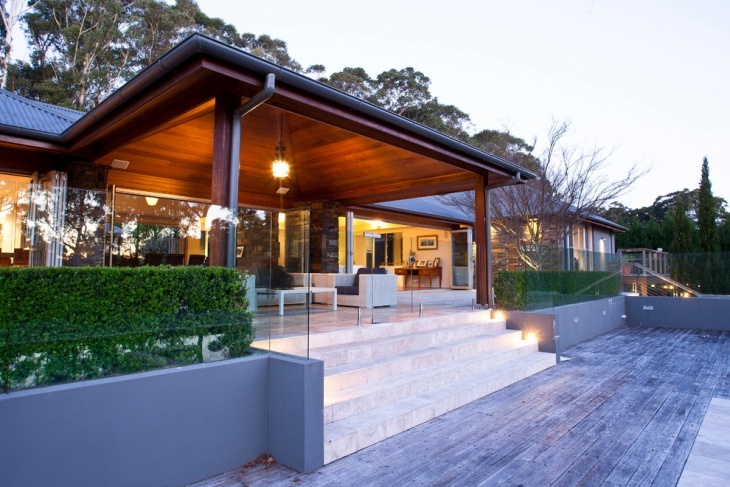 The roof is made of a warm wood along with dusky wood decking. The wall inside the cottage is painted in color gray and is surrounded with greenery outside. 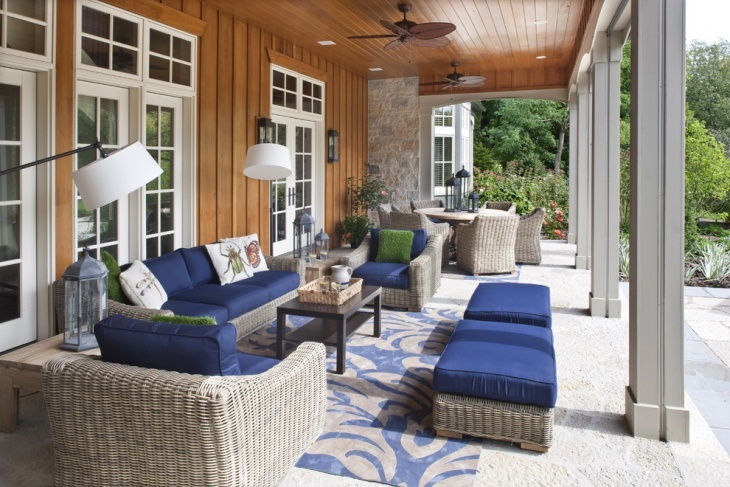 The outdoor area is more of like an open space without the roof. 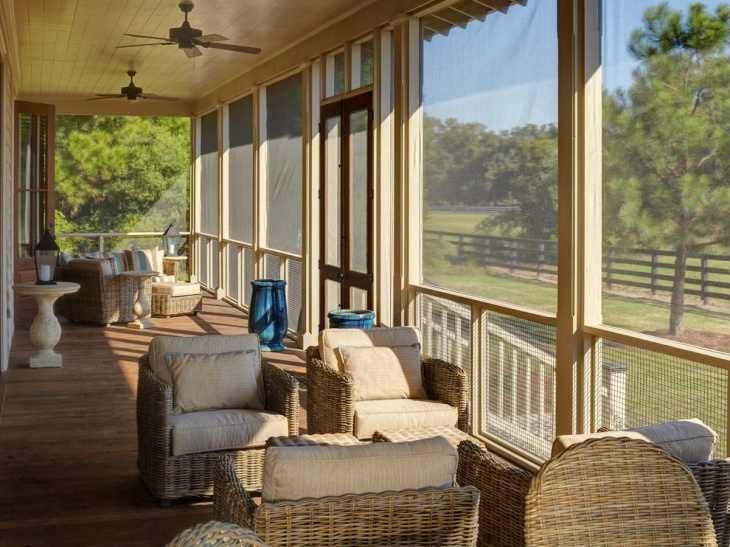 This screened cottage porch built in the Greek style is and is fully screened. The outdoor garden is adorned with beautiful pots with flowers planted within. 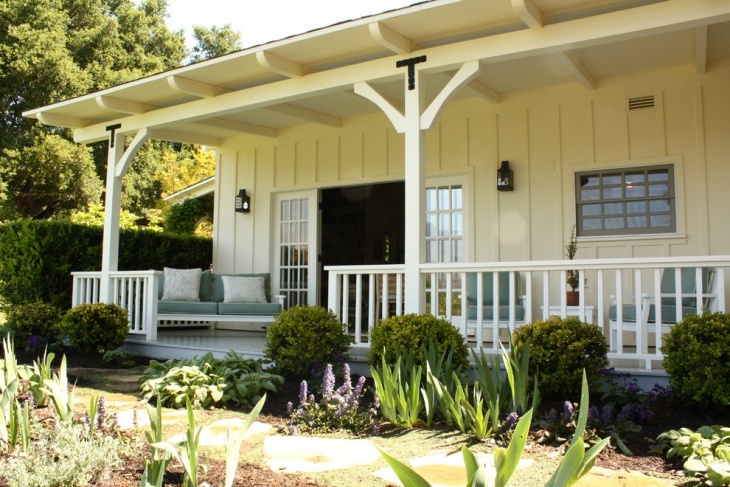 The porch is built with standing pillars and is designed in a classic white color. This is a modern lake house cottage built in the countryside with glass doors where the beauty of the lake view can be enjoyed. The pitch of the roofline is built in an open way inside the cottage are chairs placed to enjoy the amazing view outside. This farmhouse designed in a shabby chic style is a perfect little cottage to escape from the city life and enjoy your time spending in this quiet place. The porch of the cottage is built in a strict block style which is straight and flat. This Victorian style cottage porch is a small covered one with two separate portions which are made distinct with an arch. 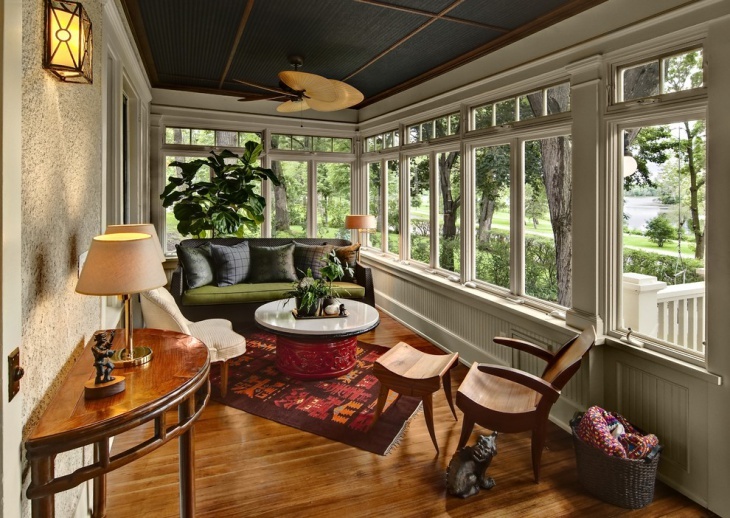 The cottage features several beautiful interiors and décor such as the seating, lights etc. 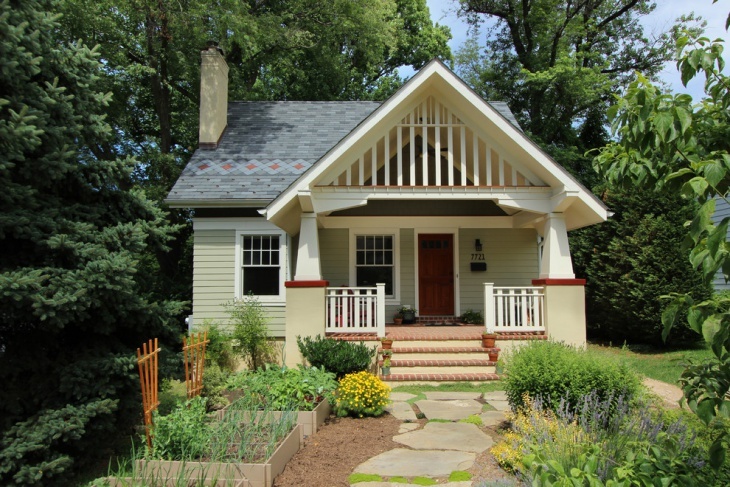 This eclectic cottage with a front porch design is exquisite and is simple yet elegantly designed. 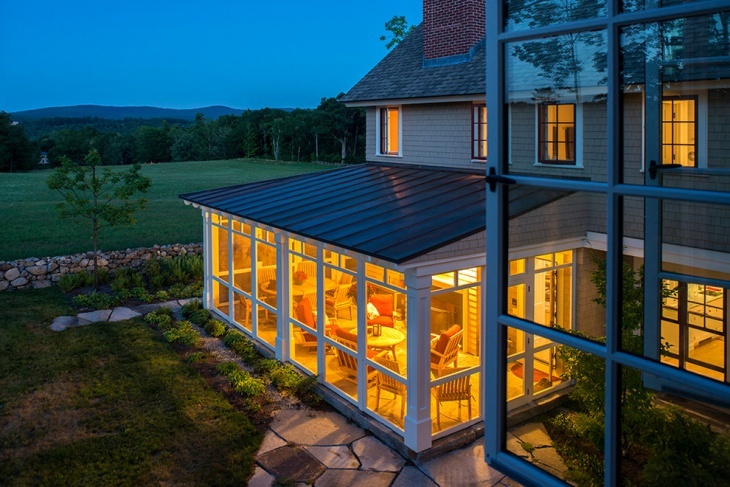 It features a large sized gabled roof and the cottage is covered with greens as the surroundings on all sides. 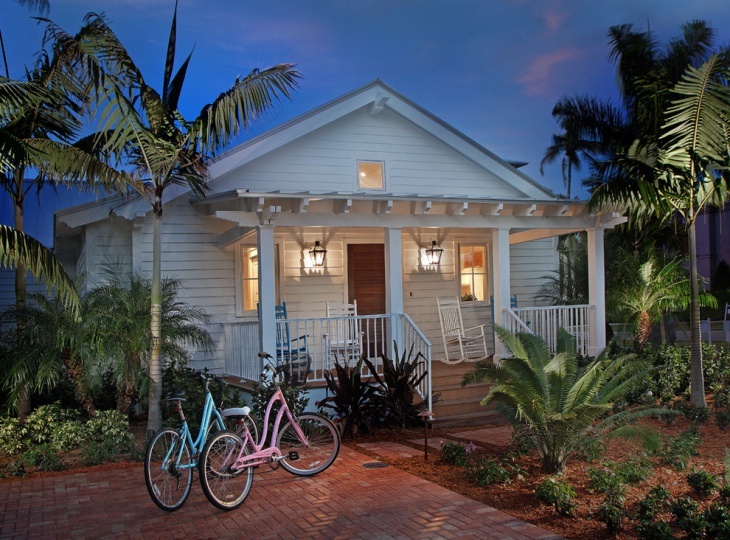 It is a cute and lovely looking cottage with elegant exteriors and interiors. 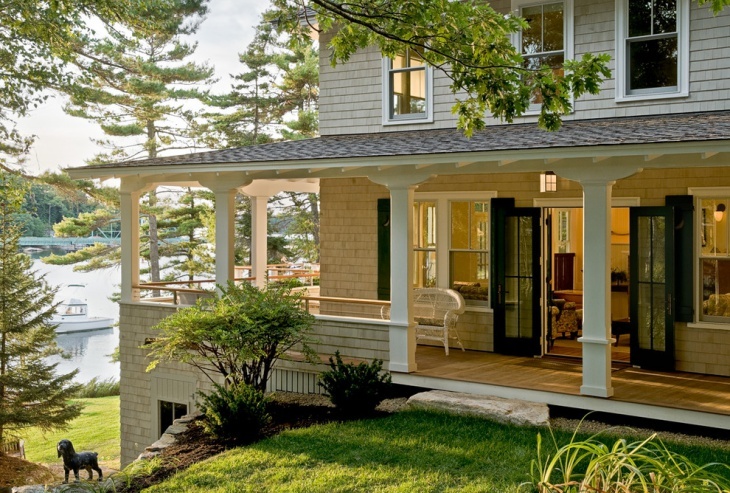 This traditional cottage featuring a back porch in a traditional style is beautiful. The porch is clean and has vertical line prints in it. 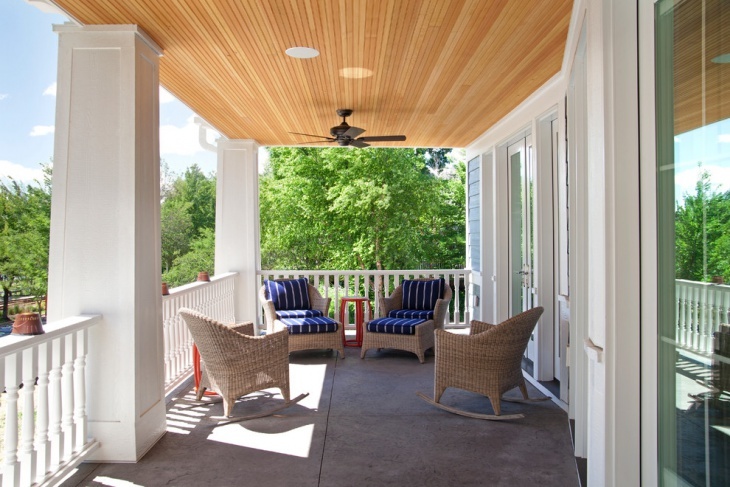 The twist in this traditional porch is that it has a top framing and has recessed lighting to the porch. 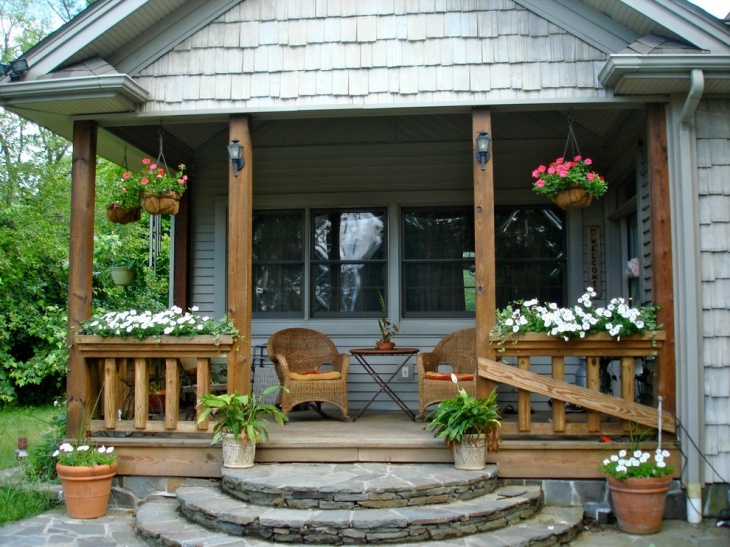 Cottage porch designs are in plenty today. 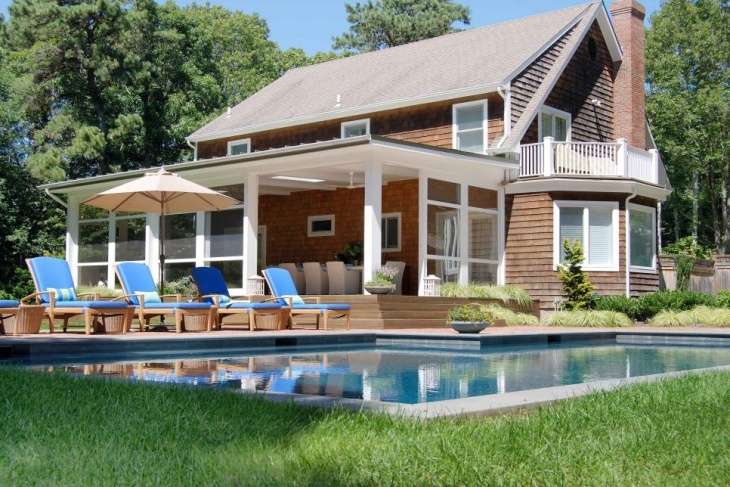 Choosing the right one that meets the requirement of a specific cottage is crucial. 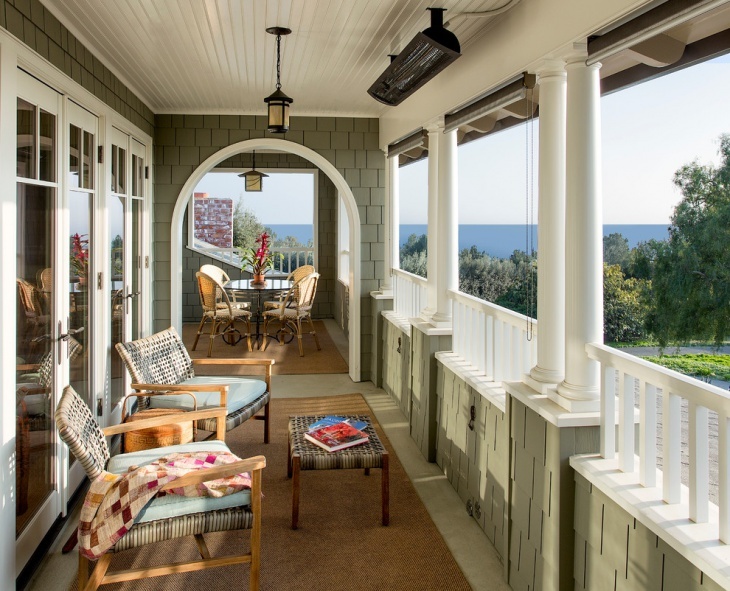 From traditional porches to shabby chic designs, one can choose the right kind of porch design that goes well with the cottage you are designing. 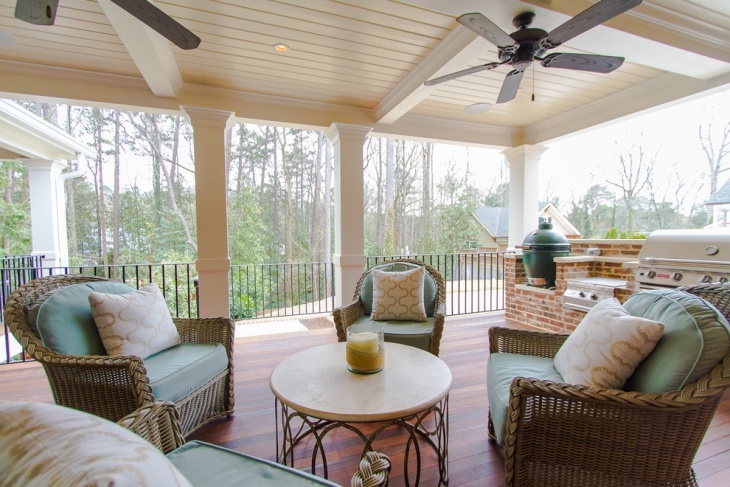 The above cottage porch designs have been selected from a wide range of designs to help you narrow down your choices and build your own creative porch.